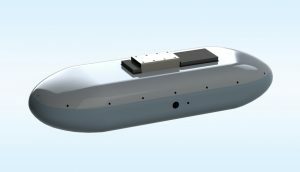 NTS Technical Systems’ Engineering Services Center in Albuquerque, New Mexico, is working with government and private entities to design, develop and manufacture modular payload (MP) pods for utilization on tactical class UAS systems. The MP-2, now in development, will be designed as a modular system to enable the integration of custom and commercial off-the-shelf (COTS) mission specific components. 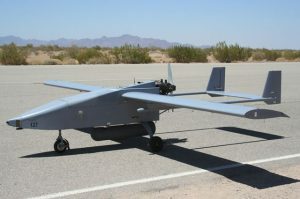 NTS has fielded the MP-1 system for deployment on manned and unmanned aircraft including: Mobius, Shadow and Tiger Shark. The MP-2 pod, now in development features a reconfigurable chassis mount system that will accommodate different technical packages for different missions, in much the same way that a 19 inch electronics rack can be customized with different content for different uses. The MP-2 allows the use of different transmission windows and bottom shells to accommodate optical, RF, SHF or laser transmissions. Transmit/receive windows are removable, sealed apertures that provide IP-65 protection against moisture and material ingress into the pod. The next generation MP-3 equipment enclosure will share the same form factor as predecessor models however they will provide forward and aft pod caps that are fabricated from RF transmissive materials that are selected for the specific frequencies of use in order to limit signal loss through the pod caps. NTS’s line of MP Payload Pods are available with passive or active cooling systems that are designed to protect the payload and ensure mission integrity during stressful performance regimes and feature IP-65 protection at all joints and seams.